AVOOVA produces exquisitely hand-crafted décor and larger interior pieces, clothed in a seductive mantle of ostrich eggshell – one of the world’s most luxurious natural veneers. creations pass through the skilled hands of its 50-plus artisans working at AVOOVA’s workshops deep in this remote and beautiful area. A complex and intricate production process involving as many as 40 different steps marries this extraordinary material to all manner of items and mediums, transforming them all with its creamy, sensual warmth – a unique look that is the hallmark of every AVOOVA product. 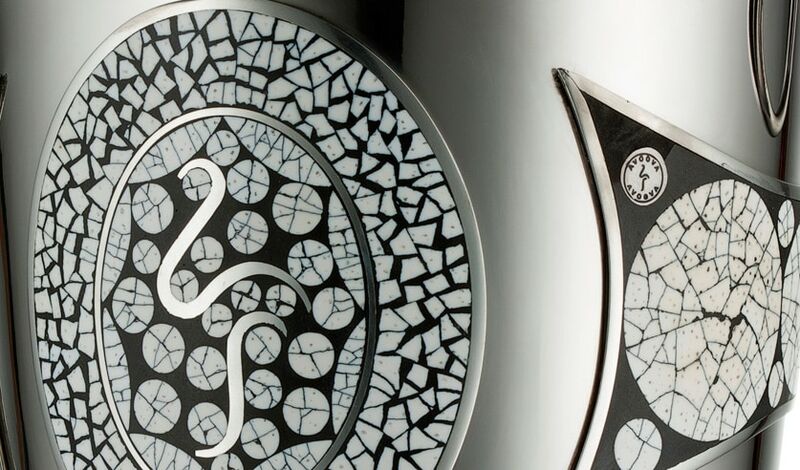 A story of authenticity and ingenuity, of sustainability and social upliftment, of ancient materials and modern designs. But, above all, it is a story about the people of Africa celebrating the beauty of nature. The bushmen of the Kalahari (which borders the Karoo) were the first people to appreciate the qualities of the ostrich egg using them as water vessels over 50,000 years ago. 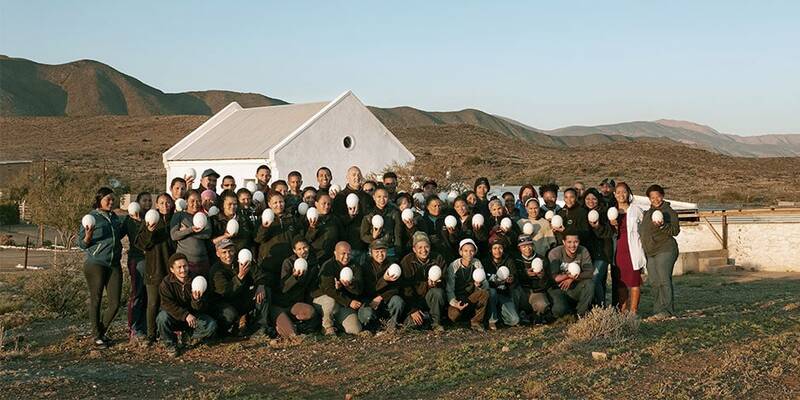 Ostriches and their eggs have inspired cultures and civilizations for the past 5000 years..
AVOOVA is the largest private employer in Prince Albert, a small town nestling on the slopes of the Swartberg mountains bordering the vast Karoo region. AVOOVA is following in the footsteps of craftsmen and women who down the millennia have used natural materials with particular aesthetic and practical properties to decorate and protect things of value within their societies. Decorative veneering dates back more than 4000 years to the Egyptians who applied thin layers of wood to their furniture and sarcophogi to enhance their value and appearance. The use of mother of pearl, bone and even duck eggshell began in the 17th and 18th centuries. Ostrich eggshell as a veneer is a 21st century phenomenon and, we would add, this is thanks to AVOOVA. For our customers, this form of decorative finish is both a statement of refinement and personal taste but this is not enough, it is a luxury that must also be sustainable, eco-friendly and uplift the lives of others. It is thanks to this history and evolving values in society, as nature is increasingly in jeopardy, that AVOOVA counts amongst its discerning customers, people from all continents and walks of life. Amongst them there are leading international architects and interior designers, art collectors, presidents and prime ministers, top hoteliers and many others who share an appreciation of true luxury, which we define as the complete harmony between craftsmanship and nature.